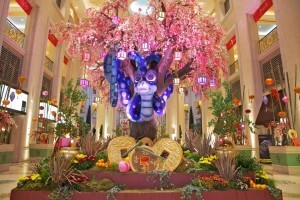 THE VENETIAN® AND THE PALAZZO® CELEBRATE THE YEAR OF THE SNAKE WITH CHINESE NEW YEAR ACTIVITIES AND DISPLAYS. 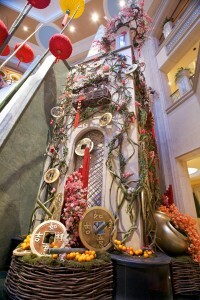 It’s time to Celebrate Chinese New Year 2013, The Venetian and The Palazzo Resorts are celebrating the Year of the Snake in a number of extravagant ways. Through Feb. 25, guests will be greeted with opulent holiday-inspired art and décor, restaurant offerings, and incentive cards. A ceremonial dragon dance will officially kick off Chinese New Year 2013 on Feb. 9, at 3:30 p.m.
A highlight of Chinese New Year celebrations, the dragon dance, is said to bring good luck and prosperity for the New Year. On Saturday, Feb. 9, at 3:30 p.m., this ceremonial dragon dance will begin with an eye painting ceremony at The Venetian porte cochere. 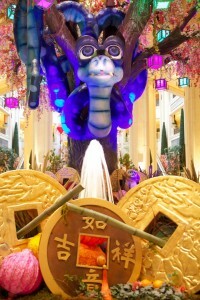 The dragon dance will wind its way through The Venetian lobby and casino before stopping in The Palazzo Waterfall Atrium, then finding its way through The Palazzo casino, lobby, and ending at The Palazzo porte cochere. This exciting event features firecrackers, and a parade of dancers and drummers dressed in authentic clothing. Sophie’s home is a giant peach tree that towers over the atrium at 38-feet tall and 28-feet wide. There are 8,800 blossom vines on the tree, adorned with approximately 193,600 flowers. Hung throughout the tree are 28 custom dancing lanterns. Also, traditional I Ching coins, representing an abundance of wealth, sit amidst the snake and Lalique statues of The Palazzo. According to the Feng Shui master, it is recommended that guests walk clockwise around the tree and snake display three times to bring blessings of Heaven, Earth, and Mankind upon them. The snake’s head moves from side to side, her tongue moves in and out, and she blinks. The Grand Canal Shoppes and The Shoppes at The Palazzo are celebrating Chinese New Year by offering incentive cards and special retailer merchandise to guests. From Thursday, Feb. 7 through Sunday, Feb. 10, incentive cards will be distributed in the Waterfall & Atrium Gardens in The Palazzo. More than 40 signature retailers, including Fendi, Dooney & Burke, and Dior Beauty, have provided incentives or special merchandise that are only available during the Chinese New Year celebration. To add to the festivities, a traditional Chinese fan dance will be held on Sunday, Feb 10, at 1:00 p.m. in the Chloé rotunda inside The Shoppes at The Palazzo. During and after the fan dance, more than 500 red envelopes will be distributed to guests. The envelopes will be filled with a prize -- anything from a gift card to a chocolate gold coin. Red envelopes are traditionally handed out during Chinese New Year and symbolize happiness and wealth. Chef Simon To of The Palazzo’s Zine Noodles Dim Sum has created a special limited-time menu to celebrate Chinese New Year.Guests will find a variety of authentic dishes on the special menu including Firecracker Manila Clams, infused with Chinese white wine, fish paste, and spicy roasted pepper; and Winner’s Daily Soup, which is a must-have for all casino players. The Palazzo’s Fusion Bar, will offers the Jaina cocktail. This cocktail was created by Fusion Bar mixologists Wendy Verdel-Hodges and Cynthya Halog, who were inspired by a number of exotic ingredients after walking through an Asian market one night. The Jaina cocktail, served in a martini glass, mixes Lemon Grass infused G Saki, Gogi Bery infused Absolut vodka, lotus root syrup, lemon juice, Chinese bitters, and Dragon fruit, which was the inspiration for the cocktail’s name. The different infusions within the cocktail evoke the harmony between the earth and the fruit. The Jaina cocktail is only available at The Fusion Lounge in The Palazzo throughout Chinese New Year. 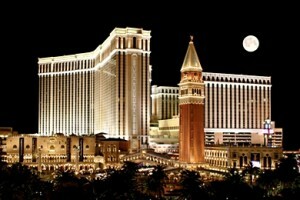 Share Your Venetian | Palazzo Chinese New Year Experience with everyone! These two Resorts are well known for their extravagant events and celebrations. 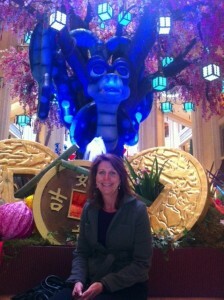 The Year of the Snake will be no exception and well worth multiple visits to take it all in as only the Venetian / Palazzo Resorts can do. The Susan Magrino Agency announced its representation of Moët Hennessy Estates & Wines whose prestigious luxury portfolio includes Chevel des Andes, Cloudy Bay, Numanthia, Newton Vineyard, Terrazas de los Andes, Cape Mentelle and Chandon. The brands will join the esteemed wine and spirits division which includes the luxury wine brand Marchesi Antinori and several William Grant & Sons’ brands. In addition to Moët Hennessy Estates & Wines, Susan Magrino Agency’s wine division continues to represent Marchesi Antinori, the family-owned Italian wine company that has shaped Italy’s wine industry and culture for the past 625 years. Along with representing Marchesi Antinori’s renowned Italian labels which include: Tignanello, Guado al Tasso, Solaia, Montenisa, and Prunotto, among others, the agency is pleased to announce exciting news for Antinori in 2013. Cheval des Andes: Cheval des Andes (2007, SRP $79.99) is a super-premium wine from Argentina known as the “grand cru” of the Andes representing a groundbreaking blend of Bordeaux first-growth winemaking (Cheval Blanc) and the very best terroir in Argentina (Terrazas de los Andes). Cheval des Andes does not have any second labels, no special cuvees, just one wine, Cheval des Andes. The wine is refined, subtle, balanced and complex expressing French finesse and Argentinian fruit intensity. It has excellent cellaring potential of up to 20 years. The newest vintage, 2008, will be released in spring 2013. Numanthia: A century in a glass, Numanthia is the treasure of the Toro appellation and a leader of emerging Spanish premium wines. Founded in 1998 by the Eguren family from Rioja, the Numanthia estate is located in the Castilla y Leon region. Numanthia owns 40 hectares of vines on the communes of Valdefinjas and Toro. Of these, 20 hectares are planted with vines aged between 70 and 100 years, and there is another exceptional plot of 4.8 hectares on the commune of Argujillo, whose vines were planted over 120 years ago. The combination of a unique terroir, an exceptional vineyard and the quintessential expression of the fruit places Numanthia as one of the cult wineries of the Toro region in Spain. The Toro signature, grapes for the Termes (SRP $27.99) are selected for their intense, vibrant and lively fruit expression. Numanthia (SRP $59.99) relies on a selection of exceptional ungrafted vineyards with more than 50 years of age. One of only nine Spanish wines to have ever been awarded a perfect 100 points by The Wine Advocate, Termanthia (SRP $200) is the ultimate expression of the best vineyard plots in Toro, with vines that are over 120 years old and grown at an altitude of 2,625 feet above sea level. Newton: Newton Vineyard is a leader in unfiltered wines, dedicated to working in harmony with nature to transform grapes of uncompromised quality into wines of distinctive character. Based on an old-world style, Newton’s winemaking techniques include natural fermentation and bottling without filtration. These purist traditions preserve the natural depth of flavor, bouquet and structure. Comprised of 120 acres plated at elevations ranging from 500 to 1,600 feet above sea level, the Newton Vineyard Spring Mountain Estate is designed and built to blend into the mountain, set among the native vegetation to preserve the ecosystem of the hillside. The Puzzle (SRP $100) is a complex and profound artful blend that represents the finest expression of the estate, while the Red Label Chardonnay, Claret and Cabernet Sauvignon (SRP $25) offer lively flavor and harmonious balance. The Unfiltered Range, including Chardonnay, Merlot and Cabernet Sauvignon (SRP $60) preserve a natural depth of flavor, bouquet and structure. For more information on Newton Vineyard, please visit: www.newtonvineyard.com. Terrazas de los Andes: Terrazas de los Andes, a premium Argentinean winery and pioneer of high elevation vineyards in the Andes since the 1950’s, offers a range of grape varieties from Torrontés, Chardonnay, Malbec and Cabernet Sauvignon across its Altos, Reserva and Single Vineyard tiers. Home of the finest Malbec, owning 100% of the vineyards used for the Reserva and the Single Vineyard tiers, it is no surprise that one of its best sellers is Reserva Malbec. Terrazas de los Andes is widely distributed with its labels which include: Altos ($11.99), Reserva ($20 and under) and Single Vineyard ($54.99). For more information on Terrazas de los Andes, please visit www.terrazasdelosandes.com. 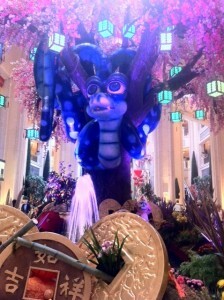 Is that time of year again and the place to experience one of the most unique events in Las Vegas is at the Bellagio. Renown as the home of a wide range of award-winning dining experiences including two AAA Five Diamond restaurants, Julian Serrano's Picasso and Le Cirque from the renowned Maccioni family, Bellagio’s 2013 Epicurean Epicenter series continues its tradition of innovative and immersive experiences. On Saturday, Jan. 26, guests can taste five wines from the legendary Inglenook estate, paired with the critically acclaimed cuisine of James Beard award-winning chef Jean-Georges Vongerichten of Bellagio’s Prime Steakhouse. Tickets priced at $350 per person, all-inclusive, and available for purchase online at Bellagio's Epicurean Epicenter webpage or by calling Bellagio Concierge at 866-406-7117. Guests will enjoy the cuisine of Chef Vongerichten as he will prepare a four-course masterpiece in Tuscany Kitchen, a signature element to all Epicurean Epicenter events. This 1,170-square-foot Tuscany Kitchen is outfitted with top-of-the-line Viking equipment and the latest technology. 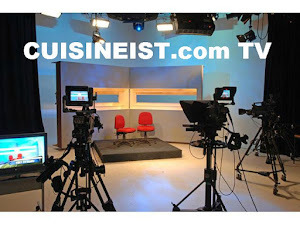 Three cameras, positioned above the prep stations and stove tops, capture shots of the chefs at work and broadcast them over 60-inch plasma screens mounted above the cooking area for easy viewing. Moments after watching each course prepared right before their eyes, guests will savor Vongerichten’s menu along with Inglenook wines, as paired by Managing Director Philippe Bascaules, Owner Francis Ford Coppola and Bellagio’s Director of Wine Jason Smith MS.
Any oenophile understands the importance of the 133-year history of the Inglenook estate. Inglenook has made is reputation under the ownership of three important custodians: Gustave Niebaum, John Daniel Junior and Francis Ford Coppola. Niebaum laid the ambitious and insightful foundations for the estate, claiming that no expense would be spared in his quest to produce wines that would “equal of any in the world.” His successor, John Daniel Junior, achieved just that and his 1941 Inglenook is still considered one of the best Cabernet Sauvignons ever produced. 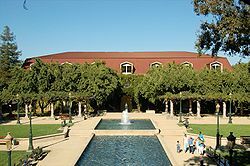 In 1975, the Coppola family was able to buy their first part of the Inglenook estate, which had fallen into a decade of decline. This was the beginning of a 38-year project that would see them tirelessly piece together and restore the historical estate to its former glory. 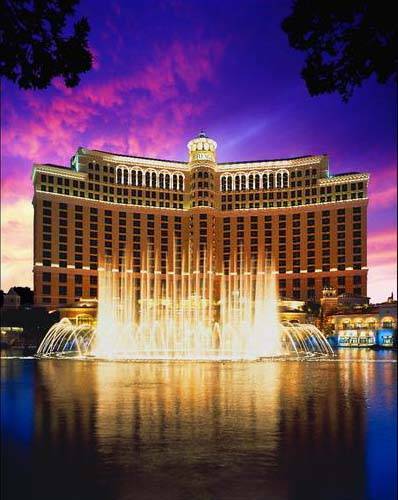 The Bellagio Resort has long been known for excellence. 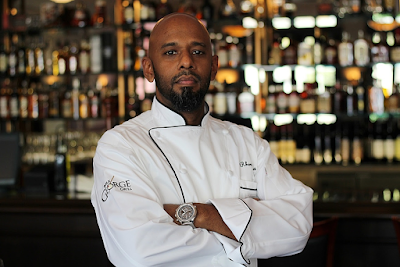 The Epicurean Epicenter series brings that excellence to the forefront. 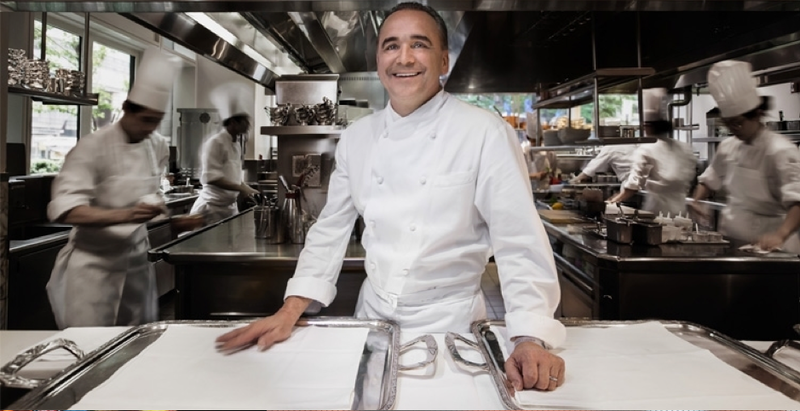 Where else should anyone be on January 26th than at the Bellagio in Las Vegas to enjoy this very intimate dinner with a Celebrity Chef, a Master Sommelier and a legendary winery. Australia's fifth largest city, Adelaide enjoys a history of gentility and tolerance, never having been a penal colony. It is known for its elegant Victorian buildings on streets laid out in a grid with lots of greenery, its festivals, cuisine and wine. Named for Queen Adelaide, wife of England's William IV, the city is the Capital of South Australia and was founded in 1836. Colonel William Light designed the city around the Murray River rather than the sea coast and surrounded it with parkland. Sixty percent of Australia's great wines can be found in the highlands and valleys within a 50 mile radius of the city and I was out to explore them. Ralf's company, "Life is a Cabernet Tours," has a number of vehicles that shuttle visitors through wine country allowing us to imbibe with careless abandon while they drive on the wrong side of the road through the beautiful wine valleys surrounding Adelaide (it's the English heritage and you spot quite a few old English automobiles driving the lanes, having survived well in the moderate climate). Ralf seemed to know everyone in town, which is about 1.2 million people, and he certainly knew the restaurants and wineries. He even helped upgrade my flight home aboard the Qantas' super jet A380, a 13-hour flight from Sydney to Los Angeles. I recommend his services highly (www.lifeisacabernet.com.au). One of our first stops was in the outskirts of the city where Penfold's Magill Estate offers a Heritage Tour of the original brick, stone and wood winery established in 1844. Penfold's is famous for producing Grange, a limited edition blend, every year since 1951. It's astronomically expensive, but amazing if you are lucky or wealthy enough to taste one. 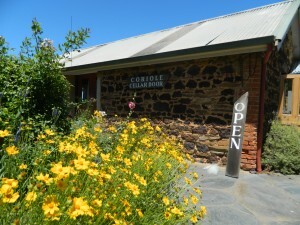 For a change of pace visit the beer garden at Barossa Valley Brewing in Tanunda. Owner Denham D'Silva studied at the University of Michigan and makes the best beer I tasted in Australia (www.bybeer.com.au). For commercial beer I liked the hoppy James Boag's. 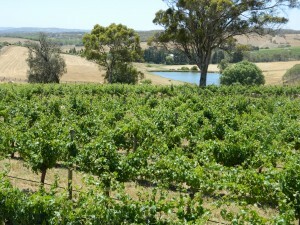 The other great wine valley is McLaren Vale, about a 40 minute drive southeast of Adelaide. It's known for its red wines but also produces Chardonnay and Chenin Blanc among other white wines. Primo Estate Wines specializes in Italian varietals. 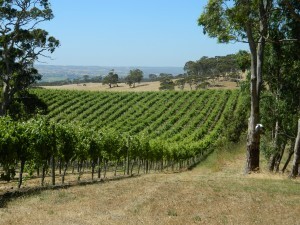 d"Arenberg Winery also rests on the top of a hill and has long views from the vineyard restaurant. Winemaker and owner Chester Osborn makes 35 different wines with labels by local artists (www.darenberg.com.su). 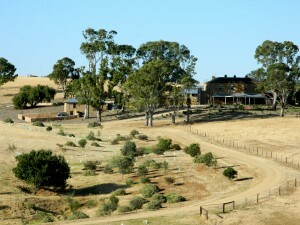 I had a lovely country house experience at the Kingsford Homestead (www.kingsfordhomestead.com.au). It was known as Drover's Run in the TV series "McLeod's Daughters." Built in 1856 the two-story sandstone Georgian structure is on a beautiful 225 acre property and offers seven luxury guest rooms. Managers Pat and Sally Kent are wonderful hosts and delightful people. Pat opened up his wine cellar and served me the best wine I tasted on my tour, The Barons of the Barossa 2008 Shiraz. Beg him for a glass.